Jake Gyllenhaal leads an all-star cast in the pugilist drama “Southpaw,” available Tuesday, Oct. 27 on Blu-ray, DVD and On Demand. Gyllenhaal (“Brokeback Mountain”) stars as Billy “The Great” Hope, a light heavyweight boxing champion who loses everything he loves in the face of tragedy. The film also stars Forest Whitaker, Naomi Harris, Curtis “50 Cent” Jackson, Oona Laurence and Rachel McAdams. Directed by Antoine Fuqua (“The Equalizer”), and written by Kurt Sutter (“Sons of Anarchy”), “Southpaw” is about the fight, both inside and outside the ring, of a strong-willed man struggling to redeem his family and himself. 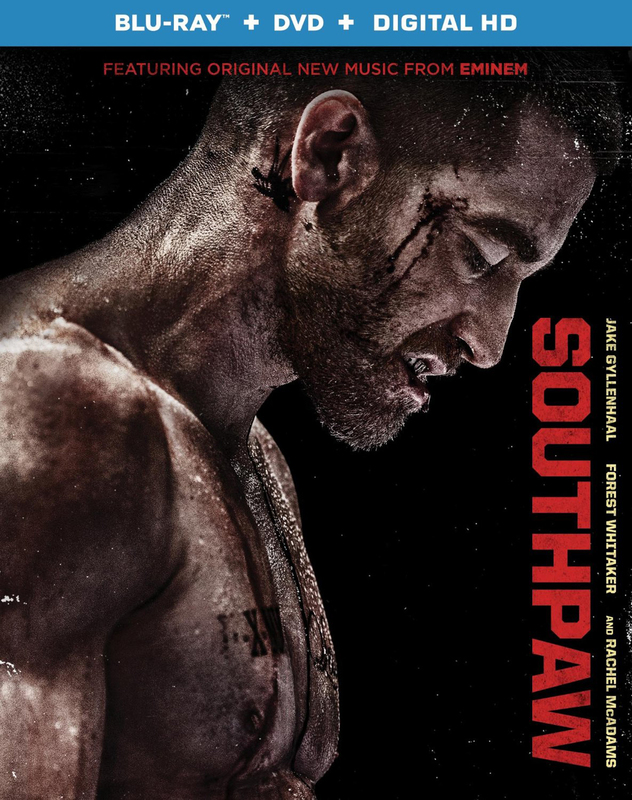 The DVD includes a featurette called “Southpaw: Inside the Ring.” The Blu-ray includes that as well as deleted scenes, a Q&A with the cast and extended training montage. The boxing drama also is available on Digital HD. Essie Davis returns as the glamorous Miss Phryne Fisher, a lady detective in 1920s Australia in “Miss Fisher’s Murder Mysteries” Series 3, available Tuesday, Oct. 27 on Blu-ray and DVD. As the title character, Davis (“The Babadook,” “The Slap”) has a fabulous sense of fun and a flair for solving crimes. Inspired by the popular detective novels by Kerry Greenwood and filmed on location in Melbourne, “Miss Fisher’s Murder Mysteries” third season contains eight episodes on two discs (Blu-ray) or three discs (DVD). Set in post-World War I, Phryne takes life in stride, not to mention murder. Det. Inspector Jack Robinson (Nathan Page) works alongside her, although she often outraces him to crime scenes. Despite their best efforts keep their relationship on a professional level, Phryne and Jack’s playful partnership is growing more and more personal. With the unexpected arrival of Phyrne’s father, she recalls troubling incidents from her past and contends with ominous affairs in the present. A behind-the-scenes featurette, character clips and “Mr. Butler’s Drink of the Week” are among the bonuses in these each of these sets. The coming-of-age story “Paper Towns” is now available on Blu-ray and DVD. The drama centers on Quentin (Nat Wolff) and his enigmatic neighbor Margo (Cara Delavigne), who loves mysteries so much she became one. After taking him on an all-night adventure through their hometown, Margo suddenly disappears, leaving behind cryptic clues for Quentin to decipher. The search leads Quentin and his quick-witted friends on an exhilarating adventure that is equal parts hilarious and moving. Ultimately, to track down Margo, Quentin must find a deeper understanding of true friendship and love. Both the Blu-ray and DVD include commentary by director Jake Schreier and John Green, the author of the book on which the film is based, as well as lightning round interviews with John and Nat and John and Cara. The Blu-ray Combo also includes the DVD and a Digital HD version that you can download onto your handheld devices. It also comes with nearly an hour of deleted scenes from “Q” and Margo’s journey and exclusive behind-the-scenes featurette, a never-before-seen gag reel and a featurette where viewers can learn more about the making of the film from the actors, filmmakers and Green in a three-part documentary.